wirkaufendeinauto.de is one of 10 European sister brands. Since foundation of the German model in 2012, the family purchased more than 1 million vehicles and operates more than 350 branches. 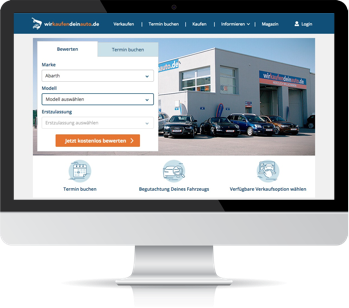 This makes wirkaufendeinauto.de and its sister brands Europe's leading specialists for the purchase of used cars.